Scientists and intellectuals, even ones who are geniuses, can make incredibly naïve mistakes. Not all scientists and intellectuals, even if they are geniuses, place a premium on the value of human life, except perhaps their own. The parachute joke is eerily reminiscent of a popular imaginative exercise my teachers in the 1970s conducted in their junior high and high school classes—but the exercise was not a joke. We were instructed to imagine we were in a scenario in which a wrenching choice needed to be made: who lives and who dies in a situation of scarcity. In one scenario, a space capsule contained a dozen or so people. We were told their ages, marital status, and occupations. The spaceship experienced a malfunction and only had enough oxygen for half the people on board to arrive at their destination. If everyone continued breathing the air, they would run out and all would die. We teenagers were asked to vote for who should live and who should die. In essence, we were trying to decide whom we should murder in order to save the rest. I am embarrassed to admit that I played along with this “game,” as did everyone else in my class. We vigorously debated which people’s lives had greater value and which had lesser value. Richard Weikart - is professor of history at California State Univ., Stanislaus. He earned his Ph.D. in 1994 at the University of Iowa in modern European history with specializations in modern Germany and modern European intellectual history. 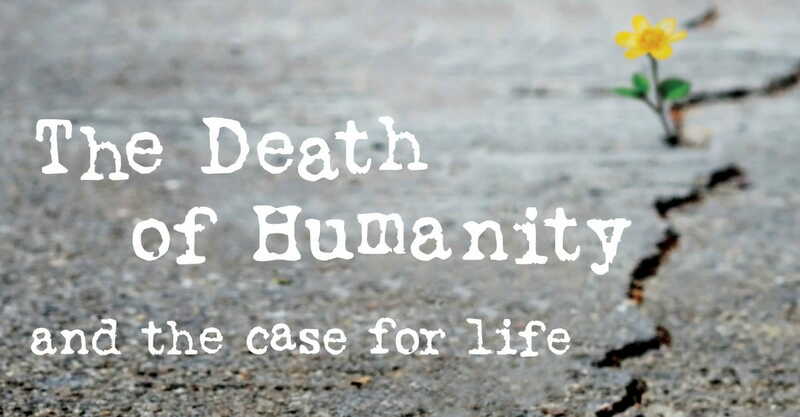 *Excerpts from The Death of Humanity are used with permission from Regnery Faith Publishing, Washington, D.C.